Jazz standards and original compositions. 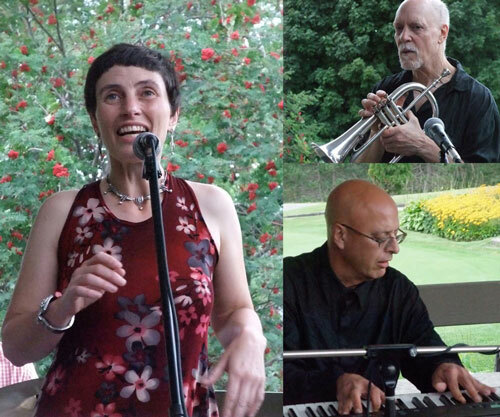 Almut Ellinghaus voice, Stanley Lake trumpet & voice and Michael Hynes piano & voice. Soulwood invites you to hear their new repertoire sourced from the rich musical worlds of Celtic, Acadian, Quebecois, Appalachian. 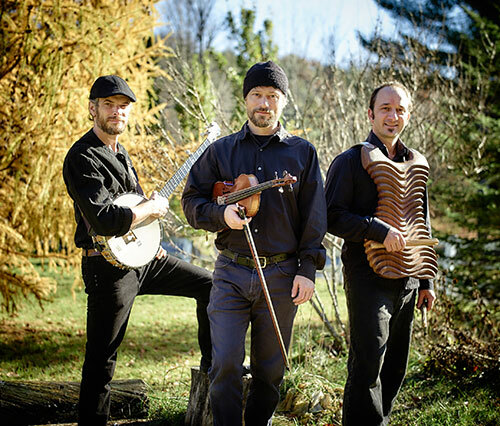 The multi-instrumentalist trio from the Townships, Daniel Haché, Alex Kehler and Willy leMaistre, will take you on a trip through their arrangements and compositions weaved from these musical traditions. A rare solo performance! 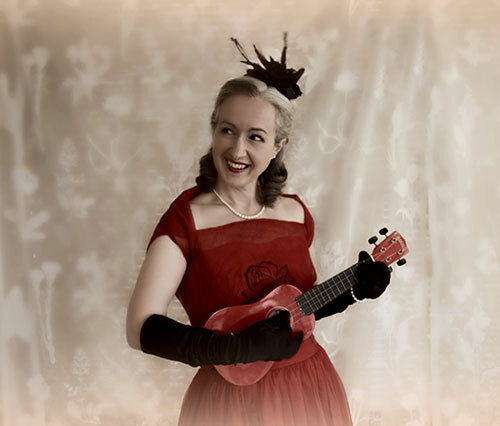 Singer songwriter Sarah Biggs invites you to an intimate evening of original music. Lieder, art song et chansons françaises : de Mahler à Vigneault. 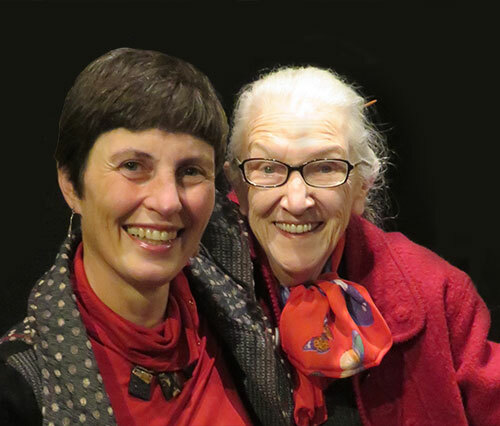 Almut Ellinghaus, voice & Adèle Barsalou, piano. Discover the varied literary talents of our local English writers. The kitchen is open before 7 pm. 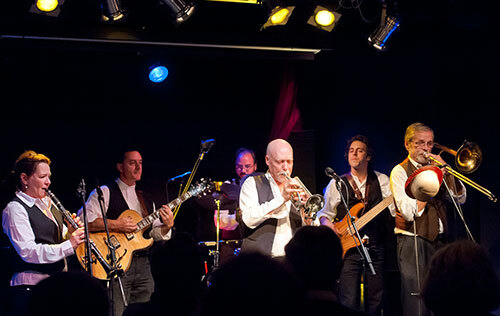 An evening of foot-tapping, hand-clapping music from New Orleans. Stanley Lake, Trumpet; Sylvie Goupil, clarinet; Dave Reilly, trombone; Claude Prud’homme, guitare; Simon Esterez, bass and Jean Lavigne, percussion. The show is at 7 pm, $10 required for the concert. 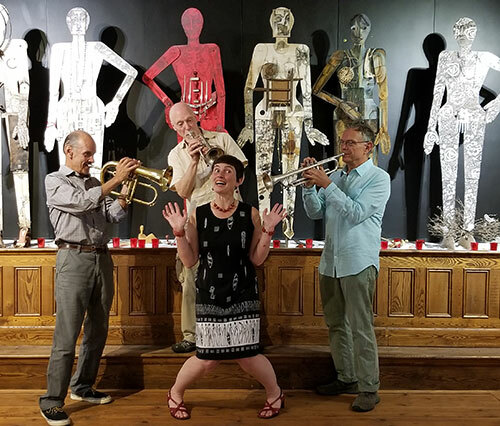 SWOON QUARTET performs the music of Georges Brassens and Django Reinhardt, as well as an eclectic mix of chansons from Québec & France, Balkan dance tunes, and hot New Orleans jazz – blending voice, trumpet, guitar, violin and accordion. 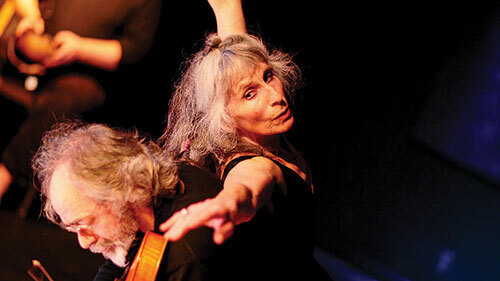 Improvisations: Jean René (viola), Vicki Tansey (movement/voice) & guests.